Although you could have an allergy to any food, there are some more common food allergies. These may play a part in the condition of your eczema, or you may have other food allergy symptoms. Here is abit about each of these. It lets you know some of the products that may be a problem and some ways to avoid them. A dairy allergy is one of the most common food allergies. If you have a dairy allergy or intolerance you need to avoid anything containing cow's milk. And cow's milk itself! 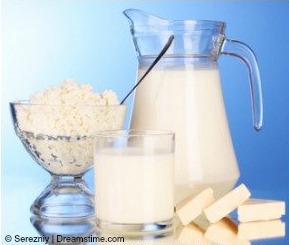 The allergy is caused by the lactose sugar, casein proteins and whey protein in the milk. So many processed products contain cow's milk. You will need to check the labels. When reading the label check for words like whey, casein, casienated curds and lactose. They are other words for milk. Health food shops and even supermarkets now tend to do a range of dairy-free products. Soya and rice milk are options, though an allergy to that could arise. As well as dairy-free milk, you will find cheese, cream, yoghurt and ice cream amongst others. Compared to other common food allergies, an allergy to eggs could look quite difficult to control. 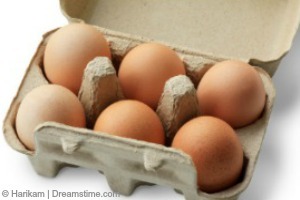 Eggs would be easier to avoid if they weren't in so many processed foods. Even though they are very versatile just being eggs! But there are ways to limit any allergic reaction. When checking the labels on products look out for albumin, lecithin, ovalbumin and ovovitellin.These are other names for egg present in food. If you enjoy cooking you can buy egg substitute. They tend to be able to be eaten by vegans, so they are egg free. PETA has some great ideas for replacements available and some great recipes to try. 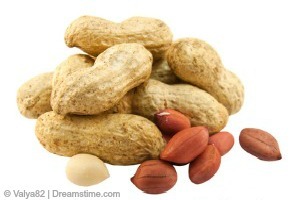 Peanuts are also known as ground nuts and monkey nuts. It is fast becoming one of the most common food allergies. Peanut allergies are mentioned more frequently now than in the past. In one study it was found that 9% of children with a peanut allergy have eczema, or have had it. 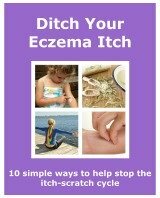 If you have eczema it doesn't mean you will get an allergy. Though it does put you at a higher risk. Peanuts can be found in many foods. The allergy can be brought on by the actual nut or as an oil. So they can also contaminate food in production. If a product is made in an area where that is likely it will state it on the product's label. Food labelling on prepared foods need to say if it contains peanuts. Or if one of the ingredients contains them. It is a law in the UK, EU and in the US. 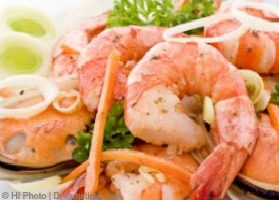 The main culprits of a seafood allergy are shellfish. Mussels, oysters, lobster, prawns and scallops. Some fish including cod, haddock, hake and mackerel can be a problem too. If you have a reaction to one sort of shellfish then it is likely you could have a problem with others. Though if you have an allergy to shellfish it doesn’t mean you will have one to fish. And vice versa. Also any products advertised as having added Omega-3 and any Omega-3 supplements should be avoided. Again, it is important to read labels. It should say 'may contain fish' if it is in any product. Check for any information that says it has been produced in an environment where fish has been. If you have an allergy then avoid these items, as they may have been contaminated. A wheat allergy is caused by some of the proteins that it contains. The main one being Gliadin. This is also a part of gluten. 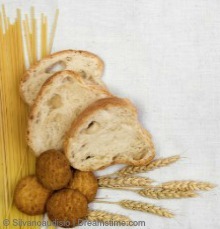 Wheat allergy and gluten allergy are different. But because of the crossover it is usually advised if you have a wheat allergy to eat a gluten-free diet. That being said, just because a product says gluten-free it may still cause a reaction. This is because it may still contain wheat in some form. You can buy wheat-free versions these products. Plus many more. When checking the labels of food keep a look out for bran, durum, gluten, spelt and anything with wheat in the name. This type of allergy is less common than others, and it can be difficult to live with. Wheat is everywhere and seems to be in nearly everything. Luckily there are more and more wheat-free options available to buy. If you are American it is soy. If you British it is soya. If your from elsewhere in the world it could be either! Soy allergy is more common in children than in adults. The good news is that a lot of children grow out of it before they reach the age of 2 years. 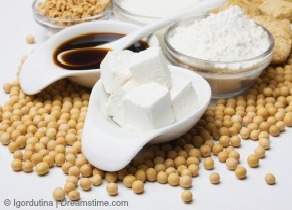 Soy is made from soy beans. It is a common food allergy associated with vegetarian and vegan food. The actual soy bean can't be eaten either. They are also known as edamame beans. If a food item contains soy it must say so on the label. Again, there are alternatives to these. Because allergies are becoming more common, information is more readily available. Specialist health food shops have also had a good range of food that are free from the more common food allergies. And the good news is that the supermarkets are realising there is a market for it. The advantage of the health food shops is that their staff tend to be well trained in what they are selling, and will probably have information about products they sell. The advantage of the supermarkets is the cost. They tend to be cheaper than the smaller shops. But you don’t get the personal service. The important thing is to find out the foods that you need to avoid. Avoid them and find some tasty recipes to make with the things you can eat! You can read some more about Eczema and Food Allergy. There is some general information and some of my personal experience with certain foods.